To save on building a house, you should first consider reducing its surface as much as you can. 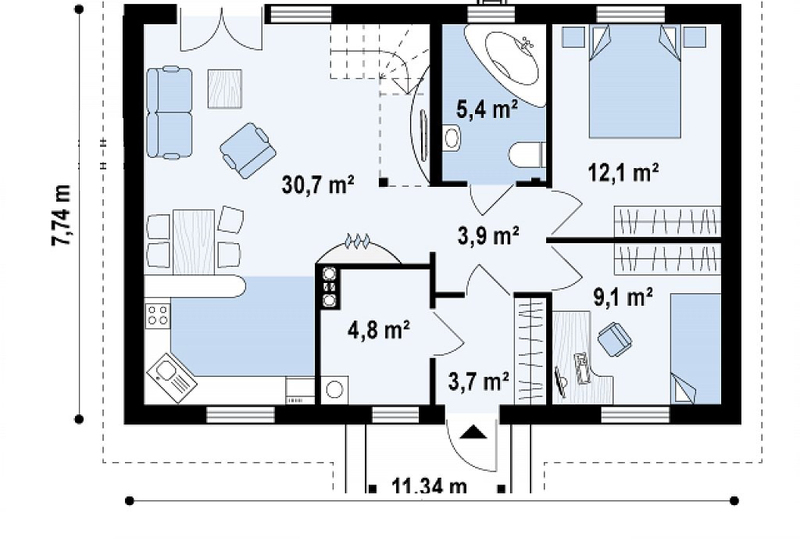 If two bedrooms are all you need to accommodate your family comfortably, than your total area can be under 1,100 square feet. A small area, as well as less interior walls by having an open space for the living, dining room and kitchen mean low construction costs. 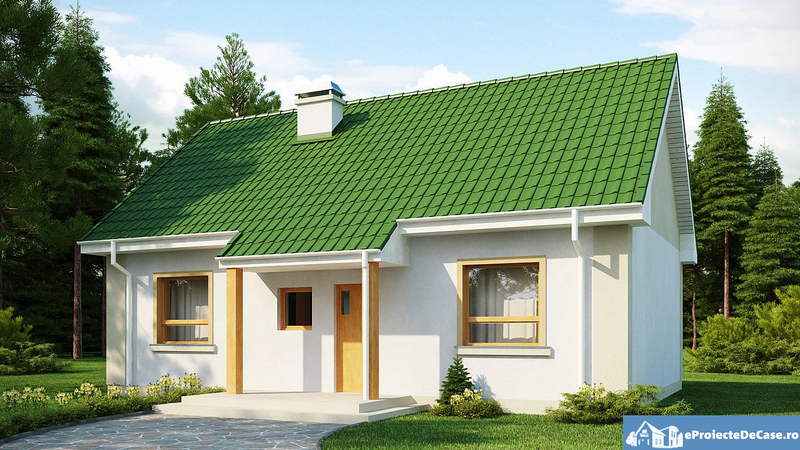 Here are three cheap 2-bedroom homes with a simple, tasteful designs. 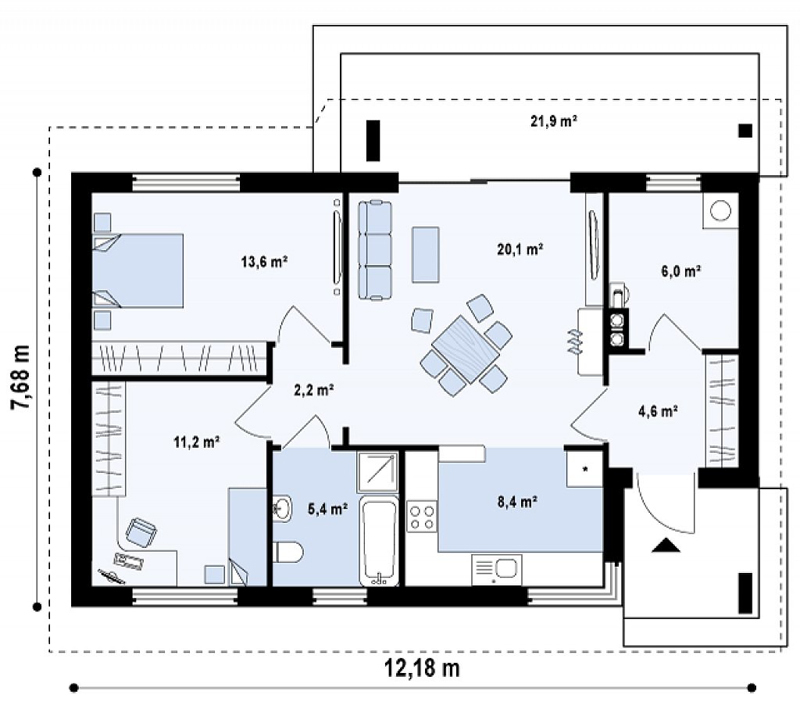 The first plan has a total area of 1,044 sq. ft. and a living area of 765 sq. ft. 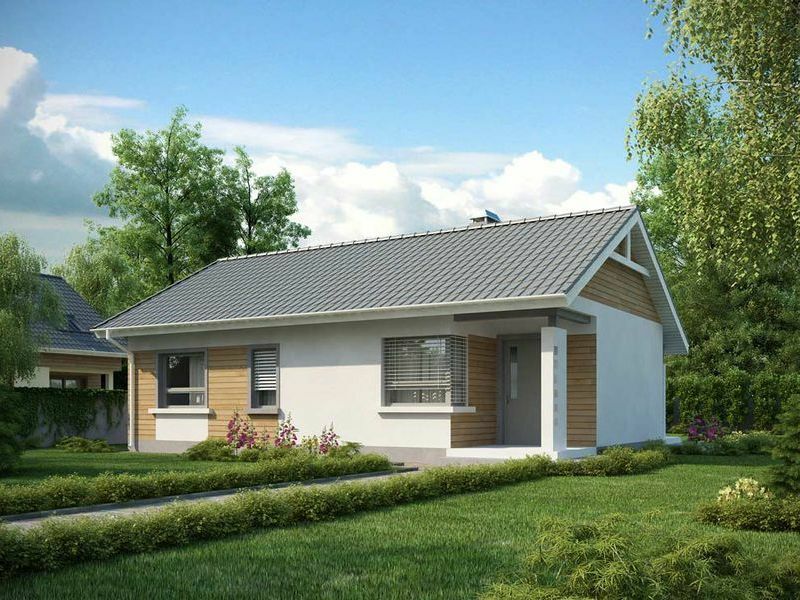 This modern home can be built turnkey for 32,000 euros. The entrance is at one end, into a lobby, next to the utility room. The living spaces – open kitchen and living and dining room – follow logically, then the sleeping area – the bathroom and the two bedrooms. The living room has large screens doors to the end of the house, where a patio can be arranged. The second house also has a modern design, with large windows on a simple, symmetrical facade and screened doors in the back that light up and open the living room. 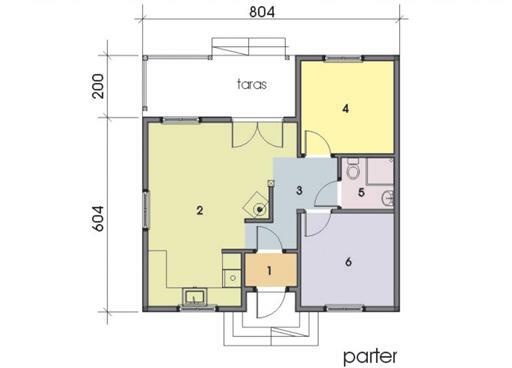 It has a total area of 936 sq. ft. and a living area of 753 sq. ft. The price for building it turnkey is estimated at 30,450 euros. The entrance is in the middle, with the lobby in front of the bathroom. Then, in one part of the house there’s the utility room, the kitchen, dining and living room, and in the other, the two bedrooms. 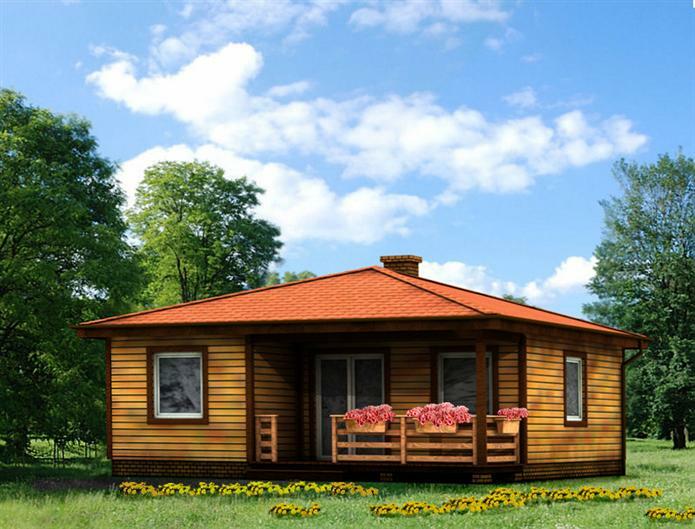 This last house in our selection doesn’t have a price estimate, but its tiny footprint, of only 690 sq. ft., promises a very low cost. From the middle entrance, the plan is divided between the living spaces – kitchen, dining and living room – and the sleeping area – the two bedrooms with a small bathroom in-between. The living room opens to the beautiful covered porch in the back.